In addition to reminding me that I need to get back to the gym, the point about the human brain only having the capacity to pay attention for ten minutes if a good one. I love the frog. More from Vicky Davis, including some pointers to his videos. Leslie Madsen Brooks has introduced me to a new term called "EduPunk" that is spreading quickly in the edutech blogosphere and beyond. In short, edupunk is student-centered, resourceful, teacher- or community-created rather than corporate-sourced, and underwritten by a progressive political stance. Barbara Ganley's philosophy of teaching and digital expression is an elegant manifestation of edupunk. Nina Simon, with her imaginative ways of applying web 2.0 philosophies to museum exhibit design, offers both low- and high-tech edupunk visions. Edupunk, it seems, takes old-school Progressive educational tactics--hands-on learning that starts with the learner's interests--and makes them relevant to today's digital age, sometimes by forgoing digital technologies entirely. Stephen Downes has a roundup of the references by other edtech bloggers here. 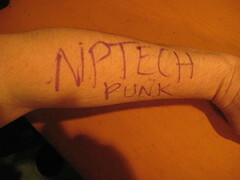 And, of course, here's the short list of EduPunk Heros == of course CogDogBlog is one of them! I'm going back for a deep dive .. I'm catching up on what I've missed over the past few weeks and wanted to point this out. Storytelling is a best practice for fundraising pitches and that's why I think SlideShare is a great tool for causes. The example above isn't the first I've seen of using SlideShare for social fundraising or emergency relief. It comes from the Web Strategist Blog, Jeremiah Owyang. The strategy is use positive photos. (Here's the original post). What I am saying is that your audience may not be ready to have the conversation that social media enables. That's because social media does not just enable conversations. It enables PUBLIC conversations. I think we have to remember that it takes time build the community to have the conversation and that it doesn't happen right away. You have to be ready as conversation facilitator. Alexandra Samuel did a workshop called "Bringing Your Community to Life" at Netsquared and offered some terrific practical advice about you get the conversation started. And once you activate the conversation, your organization needs to be ready to embrace it. While NetSquared was taking place, another event There's A New Conversation - described as "reflecting on the past 10 years since the publication of the Cluetrain Manifesto and what the next 10 years will be like as more and more of us defect from marketing and join the conversation!" was taking place. Jeremiah Owyang gave a presentation at the event and it was live blogged here. Have resources ready. Staff, processes, resources, etc. 5 types of detractors. Legit complainers, competitor, engaged critic, flamers, and troublemakers (trolls). For trolls, ignore them, or figure out how to expel them from the community. Listing of why they make trouble, how to recognize them, and what you should do for each type. What goes wrong? Sue, shut them down, disregard, freeze, don't engage. I wrote about dealing with criticism a while back when a colleague mentioned having to address this on social media sites. I'm curious if how nonprofits that are switched to conversations are dealing with detractors? Have you interacted with these different types of attractors? Care to share your experience? What's your advice? For the past three years, I've had the pleasure of working closely with Britt Bravo at BlogHer and Netsquared. We rarely get any face time. So, it was a welcomed an opportunity to see Britt again earlier this week. I can't say enough how much I enjoy working with Britt - she rocks. June 11-12th we will both be speaking at the 2008 Making Media Connections Conference in Chicago. Britt will be teaching a "Nonprofit Blogging 101," and a "Nonprofit Podcasting 101" session. I will give a keynote about, "New Media: The Wizard Behind the Curtain," and teaching a session about, "Social Media Game for Nonprofits." We'll also be at the, "Blogging Birds of a Feather Meet-Up: Green/Social Change" on Friday, July 18th at the BlogHer Conference in San Francisco and I'll also be on a panel on personal fundraising. As Britt notes in her blog post it seems like there is a group of readers who read both of our BlogHer Blogs, and our personal blogs, so she wanted to reach out and let you know that we'll be in Chicago the week after next and come say hi. Photo by Laura Whitehead I've known Matthew Saunders for a long time through his work at Westaf. 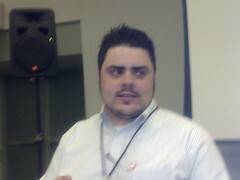 Matthew is a drupal expert and did a presentation at NetSquared. His slides are here. Laura Whitehead took excellent notes here. I also stumbled across this site called Drupal for End Users. Congrats to the NetSquared Winners! I'm finally home and off the red eye! The last leg of the journey was to attend the Netsquared Conference (N2Y3) where three winners of the NetSquared Mashup Challenge were selected by conference participants. I was on a team of video bloggers who conducted formal interviews with representatives from the 21 featured projects. 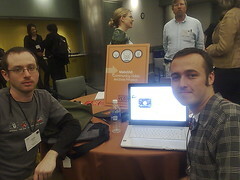 I had the pleasure to do a formal interview with Erik Hersman from Ushahidi which took first place. (I got quick lesson from David on how to pronounce it and if I had to announce the winners I would had have to practice it). 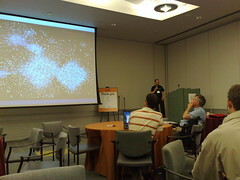 Erik shared his excitement in a post over at NetSquared. I did some qik coverage of Marnie announcing the winners and quick reactions from Peter Dietz and Joe Solomon (and team) but the video I found on YouTube is far better. 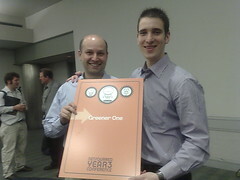 David and Erik were thrilled! N2Y3 was a successful, high energy event. Marnie Webb and Daniel Ben-Horin offered a few words at the conclusion of the event. JD Lasica did a more in-depth interview with Marnie Webb during the conference. One of the key benefits of social media is that you can actually be in two places at the same time. I wanted to attend the session by Alexandra Samuel from Social Signal about community building. I had to finish my video blogging assignments. However, I was able to get the key points from live blog posts and tweets from my colleagues. 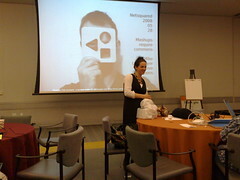 Alexandra's slides will be posted on slideshare - but all accounts it was great participatory experience. I live blogged the session on Second Life here at Netsquared. I especially enjoyed Rik Riel's presentation about Global Kids work in Second Life. 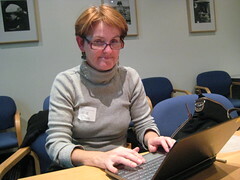 Laura Whitehead is Live Blogging Netsquared! Here Twitter stream is here and her blog posts here. Data poisoning - what happens when your antagonist starts using it? the YMCA has faced tax and mission challenge from IHRSA (health and ract club) that distorts and twists our advocacy-data poisoning? We have donors calling us asking why -- is this data poisoning? It's certainly twisting our message. Earthjustice is dealing w/rightwing blogger saying we are responsible for high gas $$ b/c we're against Alaska drilling. Yeah, it's called Fox News. Has your organization dealt with "data posioning"? What are the best practices for dealing with it? 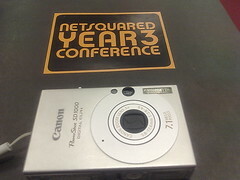 I'm Video Blogging from NetSquared Year 3! I left Australia on Sunday afternoon and arrived in the Bay Area on Sunday morning. 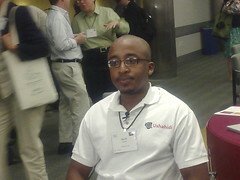 I'm here in Silicon Valley for Netsquared Conference and last night the conference got underway. I had an opportunity to eat dinner with the Nonprofit Commons group that will be doing a session. Rik Riel has a write up here. I'm behind in posting my notes from my visit to Australia and the Connecting Up Conference. So, expect to see a flood of posts over the next weeks. I was lucky enough to attend a breakout session called "The Fritz and Sauce Method For Dealing With Information Overload" conducted by Stuart Jones from the Old Milang School House Project. Fritz and Sauce is a type of sandwich served to school children in South Australia. Stuart gave a great presentation on how to avoid that awful overwhelmed feeling we feel from dealing with digital information. I think the connection to the Fritz and Sauce sandwich is that you don't need to feel obligated to consume everything. He asked us to reflect for a few moments about how we feel when we open our email. He then made a list of all the post ways people can communicate with us online - from social networking sites to Skype and others. He observed that many of us simply want to hide. He asked, "Do we give up? How do we deal with the flood of information?" There is an old way of thinking that you have to somehow keep up. This is really what is getting in your way. However if you bathe in the stream of information you get plenty. The idea is to enjoy the journey, picking up a little bit here or there that might be interesting, but don't obliged to read or consume every detail. Wade through this stream without holding on and the key is not worrying about missing something .... Have a swim, pick up the things you really find useful. Don't worry about getting everything. He suggested taking a critical look at what type of information you are currently wading through and as much as possible move your swim to RSS. But, also do not feel an obligation to read every post from every feed. Scanning is key. Just browse the headings and read what you want. 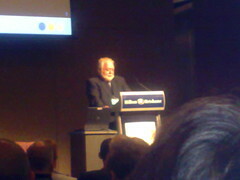 I'm not sure if his slides are posted on SlideShare, but I used my Nokia n95 to get some photos here. Stuart used a wonderful metaphor of swimming in the river of information and picking out what you need, not everything. Another metaphor might be browsing the titles of books in a bookstore, but only taking a closer look at the ones that interest you. What metaphor might you use to describe your method for avoiding information overload? "We need to treat many of our social tools like door knocking, if someone comments on our site, we should take that as a hello, and use it to open a door to a potential relationship with a new leader, member, or supporter." 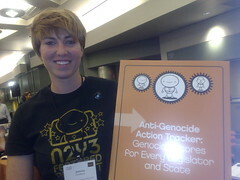 Nicola M. Wells is an activist for immigrant rights. She blogs at Standing Firm for Fair Immigration Reform Movement. She has been passionate about the issue of immigrant rights since 2002, when she worked at Casa del Migrantes in Tijuana, Mexico, a shelter for immigrants and deportees. While there she lived and worked with immigrants from throughout the US and Central America, and they shared their experiences. That experience awakened her desire to make immigration rights her life's work. After she left Mexico she worked with refugee communities in Philadelphia and did research on migrant youth at a research center in Chicago. She has also worked with SOS Racisme, the national immigrant rights organization in Paris, France. 1. Tell me about FIRM. FIRM, the Fair Immigration Reform Movement is a national coalition of grassroots immigrant rights groups working together for immigrant justice. FIRM is a project of the Center for Community Change, and is staffed by the Center, but it is led and all decisions are made by the Immigrant Organizing Committee, a table of grassroots groups that are the head of FIRM. A listing of these groups is also available on our website. FIRM is currently running the Building America Together Campaign, a national campaign to build the strength of immigrant rights in the US, and to work for just and humane immigration reform. 2. What is your job at Firm? My first job in the United States after working in France was as an intern with the Center for Community Change on their immigration team helping to create a toolkit on fighting anti-immigrant local ordinances. The immigration team supports a national coalition of grassroots immigrant rights groups, the Fair Immigration Reform Movement. I quickly became integrated into the team as an Organizer for state and local rights. 3. How do you use technology as part of your organizing work? Though I always had a personal interest in technology and social media, I didn't know how to integrate it into my more traditional organizing portfolio. That all changed after the massive and devastating raids in New Bedford, MA in early 2007. An organizer on our team, George Goehl, went to help the Massachusetts Immigrant and Refugee Advocacy Coalition in anyway he could. He immediately saw the need to tell the stories of the families that had been ripped apart by the raids, of children who had lost parents, of mother who weren't sure if they could pay rent or feed their children next week. He started a blog, and asked me to continue the project. I transformed that blog into what is today Standing FIRM and my interest in social media as a tool for organizing skyrocketed from there. I have spent the last year meeting folks, reading, and testing out social media tools with other organizers. I'm currently co- authoring a guide to these tools for organizers like myself available at the end of this month. In addition to my continued work as State and Local Organizer at FIRM, I am working with non-profits connected to the Center to help them learn about these tools and implement them in their work in effective and productive ways. 4. What are you goals for using social media to support your organizing work? Those are our goals for FIRM's infrastructure, but we also look to support the programs and projects of others within the immigrant rights movement. Like the new pro-migrant community blog, the Sanctuary. It's show and show. Telling people about these tools doesn't really do a lot for us. You have to build something of quality and bring results. That's the importance of goal number 2 for FIRM's social media tools. We've got to help not only our organization, but other organizations to learn about these tools, and the best way to do that is build it. Unfortunately, many people build things, and then forget to tell people how they did it. They show an organization the cool campaign or website, but don't give the organization the tools or insights needed to build their own. That's the importance of the guide I'm helping pull together. Now that FIRM has built stuff, learned stuff, we have to share that knowledge in a comprehensive and useful way. One of the major obstacles non-profits face is convincing people these tools work. Sure that's important, but honestly in much of my work with organizers on the ground, that is not the main problem. The bigger problem is a lack of staff time. It's not that many of them don't believe, it's that they don't have the time or resources to learn enough to make an educated choice about what tools to use and how. If we really want social media tools to be integrated into our work, we need to figure out new ways to fund staffing for them. When non profits are running five programs, two actions, and leadership development trainings there often aren't resources left for this work. It's up to funders, consultants, and non-profit staff to find creative ways to get resources for social media, and to integrate the tools into our everyday work. 6. Tell me a story about how using a blog, social network, or other social networking tool was of great value to your mission or organization's program. Social media tools allow FIRM to strengthen a network for immigrant justice, and to further our organizing goals. The key to our success is integrating offline and online organizing relationships. One without the other is never as effective. This lesson hit home for us last year around the vote for the DREAM Act (a bill that would allow undocumented students, brought here as children, to have access to higher education). We had about two weeks before the vote and we were being asked to do "something" using online tools. We got together with our partners at the National Immigration Law Center, and the Coalition for Comprehensive Immigration Reform, and approached (offline) Campus Progress, The United States Student Association, the United We Dream Coalition, and the Campus Democrats asking them to help us reach out to students around the country and get them to organize call-in days to their congressmen in support of the DREAM Act. We wanted to have campuses around the country calling-in on the same days to congress. Now, if we had about three months of outreach we could have pulled this off, but with only two weeks, we knew we needed to use social media to make things happen big and fast. We set up a facebook group, and started the outreach with our partner organizations. The list of local and state groups that came on board to help push out this effort online is just too long to list here, but believe me there was a massive push to sign up campuses to organize call-in days that was fueled by a unique mixtures of national, state and local groups along with passionate individuals. By the end of about 8 days we had touched something like 17,000 people with our invites and we had signed up over 50 campuses in 22 states to hold call-in days. We offered trainings and materials to each of the campuses in preparation and the organizers did their best to make these days a success. We now have a list of campus organizers across the country that supported DREAM and this action. It was the connection of our offline and online relationships that allowed this action to take off, and social media tools that greased the wheels for its growth. 7. What's your advice about getting conversation going on your organization's blog? I noticed that you have lots of comments. It's provocative content that hits the pulse of your audience, as well as filling a necessary niche. I learned a lot from Think progress as a model for organizational blogging. Think Progress editorializes through interesting content, not necessarily controversial editorials. And it is independent enough from the Center for American Progress that it can cover whichever topics it needs to. We try to do that with our blog. There are already a ton of great immigrant rights bloggers out there producing amazing content. We needed to find a way for us to fill a gap within the immigrant rights movement that was useful, not redundant. That gap was reporting from the state and local bases as well as the federal fight, and providing informative content. We focus our content on updates and news stories from our partner organizations, and we link to and support the content of other blogs that provide more opinions and editorializing around this subject. Think Progress also stays within the news cycle, by providing time-relevant content our blog remains relevant day to day. I'm also a big believer in engaging your readers. Bloggers get this, but organizations often forget to reach out with personal emails to individuals that encourage them to post comments on their blog. We need to treat many of our social tools like door knocking, if someone comments on our site, we should take that as a hello, and use it to open a door to a potential relationship with a new leader, member, or supporter. People that see provocative video and news stories on our blog often feel compelled to write on our blog. However, I know that they also take background information that they've learned on our site and use it in their comments and posts on other sites. For us, the most important thing is not the strength of our own blog, but rather the health and vibrancy of the pro-migrant blogosphere and the production of pro-migrant content within a larger network of allies and partners. The Opportunity Agenda released a report last year saying that progressives dominated every progressive political issue online, except immigration. There is an aggressive anti-immigrant presence online, and we need to build partnerships with others online to fight back. Readers feel that fight, they understand the urgency of this issue, and that motivates them to join the conversation. 8. What blogs do you read by women who write about migrant rights? Some write pro-migrant blogs, or simply cover immigration as a part of their larger scope. Two women that I've particularly been able to learn a lot from have been Liza Sabater and Marisa Trevino. I owe so much to these women and others. At the end of the day I'm still learning about this technology right alongside my sisters, and the exciting thing is that more and more women are coming to write about migrant rights and use social media tools for justice each day. The fight continues and our strength grows and that's the reason why I love this work. 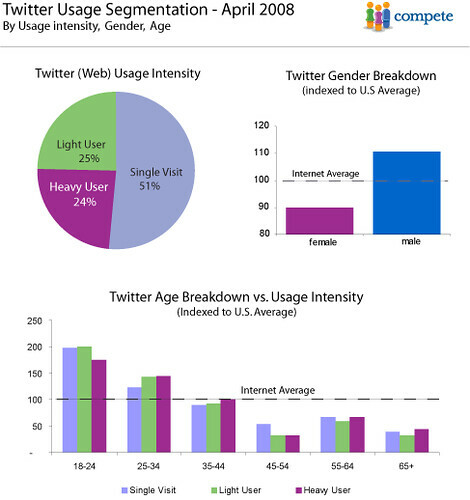 I've been looking for Twitter demographic profiles and just discovered this post from Compete analyzing some recent Twitter data. 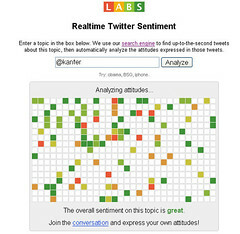 Here's another survey of how people are using Twitter. One of the benefits of a long flight is that you can catch up on reading. I took my copy of Here Comes Everyone Along. Here's a video of a recent talk he did and the transcription. The talk is transcribed here. What are some examples of mobilizing younger people with social media (blogs)? Can you answer Hannah Baral's Question? 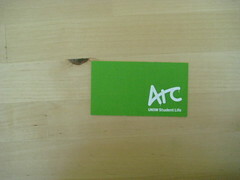 So, I took a photo of her business card and am posting the questions here. Please leave a comment so I can share with her. If we want to create a project with student blogging, are there examples of guidelines? What do we need to think about? What are some examples in other parts of the world where a university has used social media to connect with students around clubs and student life? How can we best interact with young people via social media? "The people on the end of your web site will be informed than the CEO. It is a challenging and exciting at the same time." Doug Jacquier, CEO, CISA, Inc welcomed everyone and gave some context about CISA's growth and services over the past few years. This year's program is heavily weighted to the "social web" and nonprofits. Doug mentioned attending the NTC/NTEN conference in New Orleans and had RSS and Tagging ringing in his ears. He came back an evangelist for social media. He summarized some learnings from NTC sessions he attended and the keynote by David Pogue. He mentioned that "digital natives" get their information from their peers. They won't be reading your emails. He urged everyone to pay attention to this closely. He mentioned that I would be talking about Twitter and quipped ..."If you see me twittering, take me to the back and shoot me." I did manage to get Internet access on my nokia N95 and couldn't resist Twittering his quip. Mike Seyfang responded. How do we keep a balance between the emerging and traditional technology so we keep in touch with digital natives and those who have limited connectivity? How would you organization cope with a natural disaster? With so much information coming out, how we can get our message out and heard? How do we effectively use and not abuse privacy? What if we demanded if everyone politician had a social web presence so we could poke them? What if we demanded that a basic low cost connection and computer and training were available to every Aussie who wanted it like the telephone? What if networked better and created stronger communities of practice? What if we were to audio and video record interviews with politicians and put them on the web? What if we faced up to really measuring the results of our work? What would ngos look like if they were completely virtual? What if organizations did not have government funding or pursue it? Good or bad thing? What if we demanded that if our equipment suppliers took environmental responsibility for their equipment? What is my responsibility to my organization - money, unique knowledge, ? What if you committed to leave this conference with a tangible commitment to changing one thing about the way your organization's operates. Opened with his personal story about he got started with Networked For Good. He talked about his first personal fundraising campaign - for cancer research in his mother's memory. He introduced Networked For Good and the features. His presentation focused on the dollar side of the equation of online fundraising. He believes that: "Inspiration + Know how + tools = you can change the world"
Introduced the concept of the Long Tail and the 80/20 rule. The corporate sector have adopted it. The nonprofit sector is the long snail - helping the 99% of nonprofits that are providing 50% of the services to obtain the resources. Networked For Good - Have shifted from just providing services. Told story about doing a workshop and someone said the product didn't work. No one clicks on the button. It isn't the technology, it is how you marry the technology with marketing know-how. 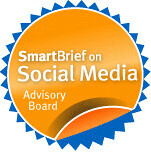 CRAM = Connect, Reward, Action, Memorable - mentions Technorati as a tool to find your potential audience who have interest in your cause or programs. It's not about the nonprofit, it's about what they do for our stakeholders. Six Degrees of Separatio: Cult of celebrity, user-generated content, online giving, and social networking. Seth Godin - Flip the Funnel concept -- get our supporters to leverage their networks. 1-5% are uber activists who raise the money. Why it works: conversation, authentic, story, translates into action -- how do I let go and let my supporters take hole of my messaging. Your supporters are better at it - let your supporters do it. Disaster Relief: Described their efforts for Tsunami and Katrina and mentioned efforts for Burma and China. News coverage is a major driver of giving. Impulse giving, slightly higher giving amounts. What skill sets do smaller nonprofits need to have? What is the first step? All of us engage our supporters in different ways. The very step is to get a piece of a paper and get their email addresses. There are offline ways to do it. Two basic skill sets: a.) Go to the places on the social web where you can find people who are passionate about your cause. b) marketing piece is not rocket science - get Katya's book. You don't need to hire a specialist. What is the balance of government, private, and earned income? Each of these sources are fickle. What they're doing at Networked for Good - trying to move away from reliance on foundation/corporate and moving to earned revenue. Think about your audiences and what revenue opportunities. Do you think you have responsibility that money is donated through your network is well spent? Yes, we screen organizations, but it isn't easy for us. We view this as a utility - it's a dial tone. We have definitions of legit nonprofit. It's a simplistic vetting process. What happens with the money - that's tough one to nail. Part of donor base is retail donor base - you give with your heart or your head. We're trying to help give with their head. We provide basic financial information. It is very difficult to measure impact. We're looking at we can look at impact on a customized basis. Looking at Ebay process - can measure the transaction and get user reviews. How did the transaction go - not the final service or product. There are some organizations that are filling the void. You can do something to help donor give with their head - for example Donors Choose. Jenny Kapp, Community Connections Australia - Get ConnectED: Weaving A New Social Web for People with Disabilities. Jenny had us do some speed networking at the beginning session. She then asked us to talk in pairs about our experience with online networking and asked people to share. Gave an overview of some statistics of Internet usage/access of the world's population. Only 1/5 of the world's population has used the Internet and if you drill down into the numbers to look at people with disabilities there is an even smaller percentage of users. Shared some data about the differences and similarities of how people with and without disabilities were using the Internet. "Inexperience in managing the complexities of social life has left may people with disabilities to engage with new technologies." from a study by two Australian researchers. Access is only the first part of the equation. Web 1.0 was about access and Web 2.0 is about effective use and connect with other people. Their project will have a way to facilitate online communication between people with disabilities and able-bodied peers using existing social networking utilities - ChiPs and MentorNet. 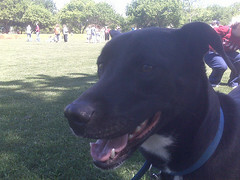 Jenny is about to pilot a 12 Week Training Program. The program introduces how to use the technology, but also social skills. They will be using Skype, Second Life, Facebook, and MySpace. Emily Turner and Priscilla Brice-Weller gave a point-by-point presentation of how their respective nonprofits have implemented blogs. The presentation covered the background, planning, organizational culture, tool selection, blogging, building an audience, and results. They differed in the audience building strategy and definition. Not yet achieving initial aims - thought they'd get a huge audience. Need time and patience. Lots of visitors - 600 new visitors per month - but look at for trending. Are the blogs there because you can do it or does it help increase traffic? How do you track your subscribers? You shouldn't have a blog for the sake of having a blog because you'll have content. The blog needs to address a need. If you think your organization needs a more personal voice, or if you need more people to provide content - both of these reasons are good ones for having an organizational blog. If you don't have a blog, but want to engage. What kinds of comments do you make on other blogs? You can leave your email address and url. Generally I wrote an honest comment and respond to what the blogger wrote. I don't promote our organization, but I do leave an authentic comment. Do you moderate comments or not? We moderate comments because of spam and word press has a good tool for spam, but you need to moderate. People use the comment fields to ask for grants -- try to filter out comments that are not on topic. It depends on whether the comment is relevant. Priscilla has to moderate comment because they don't want racist comments. They will accept all comments no matter of their view - pros or cons. They have a comment policy on their blog. Does your organization give you any guidelines to your writers? Priscilla has a set of simple guidelines for the bloggers. Does the post relate to the blog's goal, voice, and conversational voice. Do you see yourself moving into video blogging? It depends on whether it can really enhance the content about your organization. Meet Priscilla Brice-Weller who is the Online Campaign Coordinator for Australians for Native Title and Reconciliation (ANTaR) which is using social media in many creative ways. 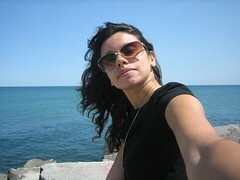 Her personal blog, Solidariti, covers technology and nonprofit activism. I've been reading her blog for sometime now and always learn something new. One of my favorite blog posts that she wrote talks about the ladder of engagement and Myspace. We had an opportunity to meet face-to-face today and take a nice stroll in the Brisbane city park, a botanical garden. We talked about nonprofits, social media, the differences and similarities between Australia and US. I did an interview on QIK asking her for her advice about nonprofits and adoption of social media tools. If the environment is not, better to do some small projects under the radar. It's better to apologize than ask permission. Communicating the benefits in clear and simple terms helps decision-makers understand. Although Priscilla has a cat, she is dog lover. She has a cat because her landlord doesn't allow pets and a cat was easier to hide!